and over 45.000 employees. 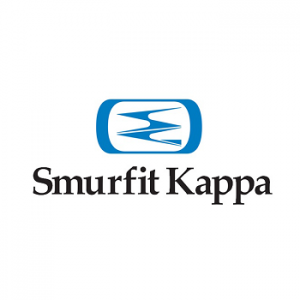 Smurfit Kappa is world leader in the paper-based packaging industry. In this role you ensure functionality of workplace systems [WPS] and peripheral equipment. Furthermore you ensure a proper handling of comments, requests and questions from users of these automated systems and applications of Smurfit Kappa Paper Services and its cluster within the guidelines of SarBox legislation. Knowledge and experience of programming languages and techniques, preferably Visual Studio/VB.net/C#. Working at Smurfit Kappa Paper Services means a dynamic working environment with a collegial and informal working atmosphere. They expect employees to continue to develop and to use their knowledge and skills successfully. This is rewarded with an excellent salary and secondary conditions in which good training and training opportunities are included. If you are interested in this vacancy, please send your resume and cover letter to Nicole de Jong, nicole@internetwerving.nl. Smurfit Kappa Roermond heeft het recruitment proces uitbesteed aan I-recruiting B.V. Dat betekent dat het eerste telefonische contact met I-recruiting zal zijn. Indien u in het functieprofiel past, wordt uw CV (inclusief gespreksverslag) doorgestuurd naar Smurfit Kappa Roermond. Zij zullen eventuele vervolggesprekken met u voeren. Bij de juiste match treedt u rechtstreeks in dienst bij Smurfit Kappa Roermond.